Catering is a growing segment of the Foodservice Industry and requires unique processes, skills, and equipment. Below are a variety of tips and guidelines for better catering. It’s important to know as much as you can about your client, so plan an initial meeting to learn more about their likes, dislikes, and expectations. It will help you create a more personalized and memorable event. 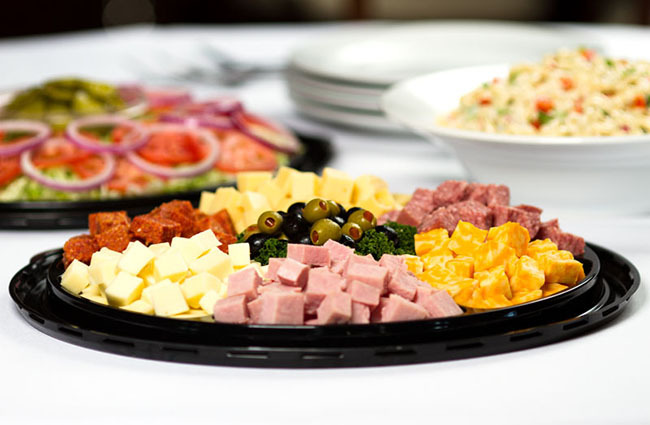 During the meeting, have your client sample dishes that you recommend. Provide photos with presentation options. Watch their reaction and listen to their feedback. You should come away from this meeting with a better understanding of what your client wants for their event and how to deliver it. Take stock of your kitchen equipment and supplies. Catering kitchens may be similar to other commercial kitchens, but some pieces of equipment are especially important for a caterer. Freeze time is crucial in catering. Blast chillers allow you to prepare more complex menu items in advance, at the most convenient time, and then freeze them quickly. When blast chilled, meals are ready to prepare and serve as if just created. Blast chillers maximize food quality and help minimize food safety risks. Having accurate food thermometers in the pocket of every catering staff member during an event is crucial. Properly calibrated thermometers provide staff the ability to monitor food temperatures closely and make sure food temperatures stay out of the danger zone. Presentation is very important. It can be the difference between a good meal and a great one. There are a wide variety of products that can help you present dishes in a creative and interesting way, without sacrificing food safety or quality. Maintaining food temperature and quality, while transporting food from kitchen to venue, is a challenge that caterers face every day. Holding cabinets and banquet carts are available in many shapes and sizes, and many are designed specifically for safe and successful food transport. Once the groundwork has been taken care of, it’s time to plan the event. Set up timelines, carefully scheduling pre-event meetings and tasks. The following guidelines may help. Perform a site inspection in advance. Determine what facilities will be used and what is available. Use an inventory list. Create an inventory list of all items you will be transporting to the venue. You’ll need it after the event is over to make sure you’ve repacked everything that needs to be transported back home. This helps you avoid loss of equipment and supplies. Calculate costs. When calculating event costs, make sure to categorize costs (e.g., food, labor, equipment, and facility). Assemble your staff in advance. Discuss an un-priced copy of the function sheet. Assign duties, describe the party theme, and create an expectation of performance. Distribute a checklist to each department. Schedule deliveries. Make sure supplies are ordered in advance to avoid surprises, especially if you need a hard-to-find specialty item. Keep food trays fresh and supplies well stocked. Prepare spare or backup trays, and hold them in a cooler. Never prepare trays at the table.